There is great momentum gathering in our creative community around the role of artists and designers in scientific inquiry. Access is being created for artists and others to explore, interpret and respond to the revolutionary advances and innovations in genetics, molecular and biomedical science. Facilitating synergies between these realms has been my focus. 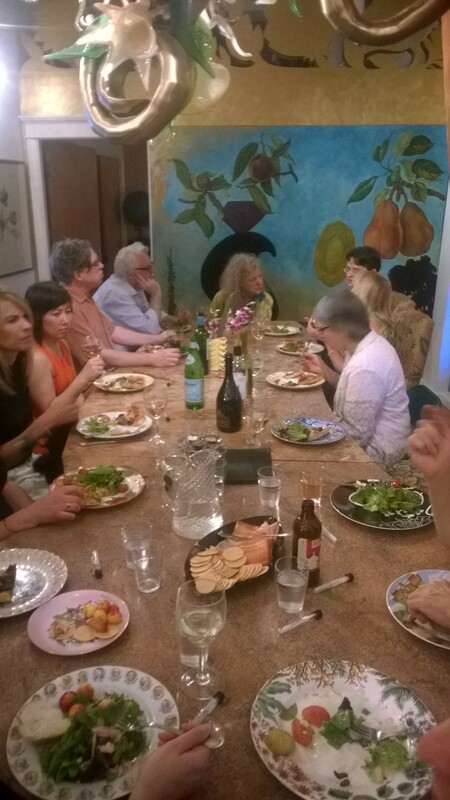 This Spring and Summer, Ginny Ruffner, Lisa Goodman, Josef Vascovitz and Gaylene Vaden and I have started to host dinners to further inspire conversations. Ginny Ruffner is an internationally acclaimed glass artist most known for her constantly evolving visual experiments. For over a decade, her work has been strongly influenced by genetics. Her recent exhibition, “Aesthetic Engineering,” at the Huntsville Museum of Art was inspired by recent breakthroughs in genetics and bioengineering and the possibilities of future gene sharing between animal and plant kingdoms. She recently was hosted by The HudsonAlpha Institute for Biotechnology as an artist in residence and continues her creative pursuits in the field of genetic research. Lisa Goodman is She is the Director of Marketing at the Benaroya Company and an active arts supporter and advocate. She is the Founder and Vice President of the Bellevue Youth Theater Foundation, ‪Executive Board member of ‪Seattle Art Museum Supporters and serves on many culture focused non profits boards here in the NW. Josef Vascovitz is an Artist, Art Collector, Arts Advocate and Nonprofit consultant who has been involved with On The Boards, KEXP and many other cultural organizations. 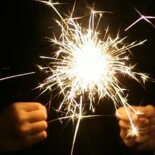 He is also a founding member of the Microsoft Alumni Foundation. Gaylene Vaden is a cultural development specialists. She is currently the ‪Development Advisor for the ‪Bellevue Youth Theatre Foundation and Executive Board member of ‪Seattle Art Museum Supporters. Our guests have included: Jeff Brice is an artist, designer and technological communicator who is adept at transforming complex ideas and systems into dynamic design solutions. He is the Chair of the Design Department at Cornish College of the Arts. Robert Campbell ’s practice includes video art, digital film, digital imaging, installation, and documentary filmmaking. He is founder of the Institute of Emergent Technology and Intermedia at Cornish College of the Arts, and has taught video art and experimental media at Cornish since 1991. Robin Bennett is the Co-Director and, senior genetic counselor at UW Genetic Medicine. She is one of the most prominent genetic counselors in the nation, pioneering genetic counseling practices that have become standard worldwide. She sees the beauty in Science…especially genetics and collaborates with artists across artistic disciplines to communicate some of the intricacies of genetic science. Allison Kudla is a Chicagoan who moved to Seattle to get her PhD from DXARTS, where she explored the intersections of biology and technology in her art. In addition to being a practicing artist, she also works in the Communications Department at the Institute for Systems Biology, a non-profit scientific research organization founded by Dr. Leroy Hood, inventor of the Automated DNA Sequencer. Allison was just accepted as a participant of the 2015 NAKFI Conference on Art and Science Engineering and Medicine Frontier Collaborations: Ideation, Translation & Realization. Asta Roseway (MSR Studio 99) Asta works as a research designer in emerging technologies pertaining to Human Computer Interaction, Affective Computing, and Wearables. Asta is one of the co-founders of studio99, a Microsoft Research effort designed to bring Art and Technology practices closer together. Jason Pace is an artist and creative experience designer, and the Director of the Digital Future Lab at the University of Washington Bothell. His work explores how diverse creative teams can reimagine interactive media. Renee Agatsuma teaches Science at Cornish College of the Arts and in that capacity, she is working to foster dialogue and create bridges between artists and scientists. She is working on her PhD at UW in Public Health Genetics. Melanie Stegman is a trained scientist who left the lab to create science games and test their educational efficacy. Her company is Molecular Jig. Diane Andolsek is a Program Lead at Vulcan who is working on a project to explore what might make freshman level intro science more interactive and engaging. She’s looking at collaborative experiential learning activities that involve scientific visualization that let students grapple with “what if…”scenarios where the answers may be known or unknown. Phillip Thurtle (UW Comparative History of Ideas), artist/educator, Rebecca Cummins (UW Photomedia) and artist, Steven J. Oscherwitz as well as Moira Payne, Provost at Cornish, Vulcan’s Innovation Program Lead, Jayme Yen, Creative Director and partner at Schema, an information design firm based in Seattle and Carla Stehr artist and retired Fisheries Biologist at NOAA. On the same night as our first dinner, another local gathering of like-minded, curious folks convened nearby for the first Molecular Shadows Salon. This group was founded by Phillip Thurtle, Sidhardth Ramakrishnan, Steven Oscherwitz and Rebecca Cummins and is a group of artists, scientists, and theorists interested in discussing the relationship of art, technology, and science. The members come from diverse backgrounds (neuroscientist , plant biologist, cancer researcher, digital humanists, media artists, performance artist, etc…): some work at universities, some are practicing artists, and some work in laboratories or are in Seattle’s growing technological sector. We starting to cross pollinate. Exceptionally inspiring gatherings…that have created further synergies and alignment of creative and research based interests. Among them, Cornish and ISB are joining together in an academic/community partnership as part of ISB’s Consilience Program. This partnership aligns with Cornish’s research and interdisciplinary program initiatives. This Fall, we will co-host esteemed medical illustrator/filmmaker David Bolinsky, whose specialty is turning complex time-and motion dependent concepts into a memorable visual vocabulary. His film, “The Life of the Cell” will be screened at ISB and he, along with ISB scientists, will be working with students at Cornish. This visit will be the first in a series of Art/Science theorist/practitioners sharing their work with our community. There is palpable enthusiasm being created with this unique community that is building! If you are interested in being a part of it…whether you are near or far, please let me know and we will include you in our outreach efforts. 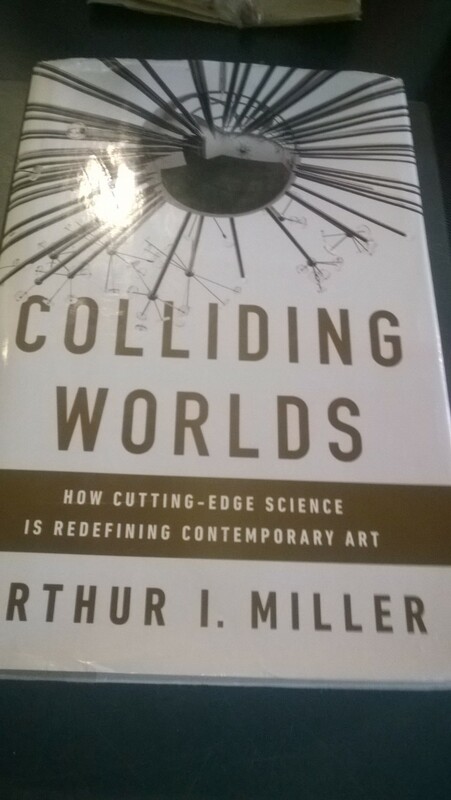 This entry was posted on June 27, 2015 by Genevieve Tremblay in art and science, knowledge sharing and tagged art science collaborations, interdisciplinary, research.